While the weekend did not go as planned, McLean Motorsports was able to learn a lot throughout the Velocity 250 at Sunset Speedway. Travis McLean started off by finishing 10th in both of his qualifying heats on Saturday, forcing him to run the Last Chance Qualifier on Sunday afternoon. Although he battled hard from the drop of the green flag, he finished 12th, resulting in him failing to make the main event. 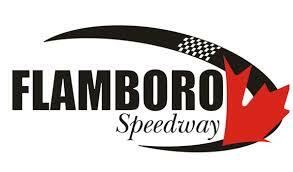 Despite their luck, the team walked away with smiles as they learned what they need to do to be competitive at Sunset Speedway in their first trip there with the super stock, and felt they are closer in some ways than others. The team also admittedly fought a rear-end issues throughout the weekend, and feels without that, they could’ve made the show. The year isn’t over yet for McLean Motorsports, though, as they will be taking part in Peterborough Speedway’s Autumn Colours Classic on Thanksgiving weekend. McLean Motorsports is proud to be supported by The Great Canadian Dog Food, Innovative Print, McLean Farms and Revolution Race Products.